Santiago’s Bus System Is a Unique One! 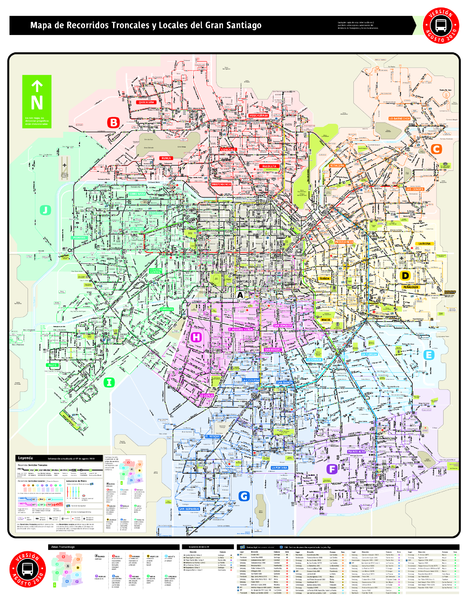 Santiago has population of 7 million people, yet the bus system, which the majority of people depend on everyday, do not have set times or a time schedule. A big majority of Santiago’s working class uses a bus or metro to get to and from work everyday. Many times the metro does not get people close enough, so they have to use bus after taking metro. Surprisingly enough there is not a set schedule for people to plan their day and life in general. There is only an application that tells one how far away is the closest bus from the station that person is standing. 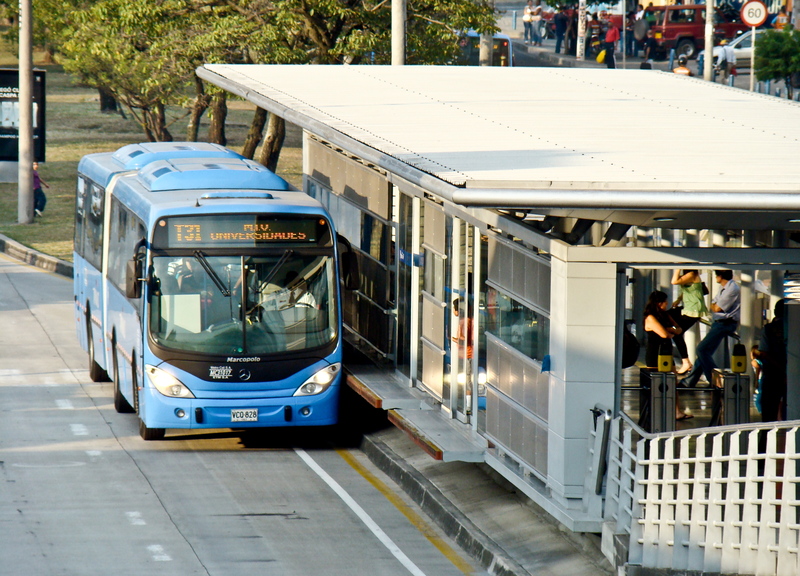 Public bus transportation is very common way for people to get around of Santiago. My assumption of why Santiago does not have any bus schedule is for two things: culture and Santiago. The Germans or Japanese are well known for being exact and on time, but Chileans are the complete opposite in this regard. For example if people decide on a meeting at 3:00 p.m. the unspoken expectation is that people are starting to meet after 3:20 p.m. This is Chilean culture, so I am assuming that if people work from 8:00 a.m. every day and sometimes they come at 8:10 a.m. and sometimes 8:30 a.m., it is not much of a problem. Secondly, Santiago itself is many times an organized chaos. There are so many unexpected things, people and cars that it is really hard to predict a certain routine for the buses. For example, every working days from certain hour, I think 8:00 a.m. for 2 or 3 hours a direction of cars change. What I mean is that on the big roads (3 lines and more) the direction that is going away from the city changes to towards city as well, so there 6 lines going towards city. There are not policemen or anything. Chileans just know it, so it is not a surprise that in 5 weeks I saw 2 crashes in the line that changes its directions because people were driving the “opposite” way. They were driving the right way, but they did not realize that it was after 8:00 a.m., so the direction changed from away to towards city center. 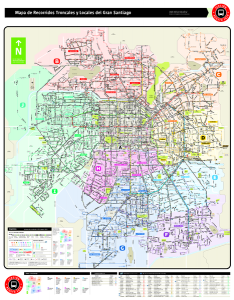 Just to show a map of Metro and Buses Public System in Santiago.